A Florida Roofing Contractor means a contractor whose services are unlimited in the roofing trade and who has the experience, knowledge, and skill to install, maintain, repair, alter, extend, or design, if not prohibited by law, and use materials and items used in the installation, maintenance, extension, and alteration of all kinds of roofing, waterproofing, and coating, except when coating is not represented to protect, repair, waterproof, stop leaks, or extend the life of the roof. The scope of work of a roofing contractor also includes skylights and any related work, required roof-deck attachments, and any repair or replacement of wood roof sheathing or fascia as needed during roof repair or replacement and any related work. Must take and pass the state certification examinations (Roofing and Business & Law). Please note that the application process cannot be started until the exams are taken and passing scores are obtained. Four-year construction-related degree from an accredited college (equivalent to three years’ experience) and one year proven experience applicable to the category for which you are applying. One year experience as a foreman and not less than three years of credits from accredited college-level courses. One year experience as a worker, one-year experience as a foreman, and two years of credits from accredited college-level courses. Two years’ experience as a worker, one year experience as a foreman, and one year of credits from accredited college-level courses. Four years’ experience as a worker or foreman of which at least one year must have been as a foreman. Three years of military service and one year experience as a foreman applicable to the category for which you are applying. Two years of military service, one year experience as a foreman, and one year experience as a worker or foreman applicable to the category for which you are applying. One year of military service, one year experience as a foreman, and two years experience as a worker or foreman applicable to the category for which you are applying. Applicants will need to provide proof of financial stability and responsibility by submitting personal credit reports. Credit reports must include a FICO derived credit score and indicate that local, state and federal records have been searched. Credit report containing a credit score (FICO derived) on applicant from a nationally recognized credit reporting agency, which includes a public records statement that records have been checked at local, state, and federal levels. If credit score is below 660 (FICO derived) applicant must submit a bond or irrevocable letter of credit. Note that Fifty percent (50%) of the bond or letter of credit requirement may be met by completion of a 14-hour financial responsibility course. An applicant must have a background check as part of the licensing process. Applicants are required to attest that they have obtained public liability and property damage insurance in the amounts determined by Board rule. 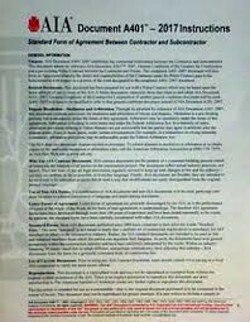 Applicants are also required to obtain workers compensation insurance or obtain an exemption from worker’s compensation insurance within 30 days of issuance of their license.To download the different application forms related to the Roofing Contractor’s License, you may visit the Florida Construction Industry Licensing Board’s site. Florida Roofing Contractors must pass two exams prior to obtaining their license. Do not sign up to take your exams until you obtain your books and begin studying for them! 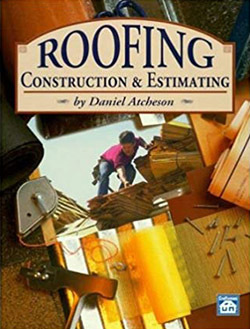 This open-book test consists of 80 questions related to the following subjects: Built-Up Roofs; Shingles and Shakes; Architectural Metal Roofs; Single Ply Systems; Modified Roofing Systems; Concrete and Clay Tile Roofs; Membrane Waterproofing; Drain and Gutters; and Equipment and Safety. This is a separate test which lasts 6.5 hours, and contains 120 questions. 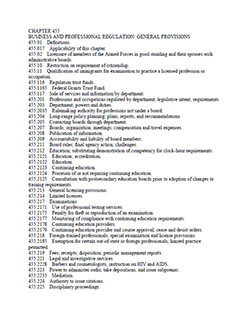 Some of the subjects included in this test are: Establishing the Contracting Business, Managing Administrative Duties, Managing Trade Operations, Conducting Accounting Functions, Managing Human Resources, and complying with Government Regulations. You can take Roofing Contractor Classes in Tampa, Fort Myers, Orlando, Miami, or Online. You can sign up for your classes at any time and receive access to lecture videos, practice questions, tabbing and highlighting instructions, as well as to step-by-step explanations on how to solve typical Roofing Contractor Exam Problems. The Roofing Contractor Classes prepare you for the trade and business exams. Florida Roofing Contractor Testing Schedule). You must pass all exams before applying for the Roofing Contractor’s License in Florida. To sign up for the Florida Roofing Contractor classes, simply click on the "enroll" button below and checkout; this will allow you to receive immediate access to the Florida Roofing Contractor Classes online, and will also enable you to attend in-person Exam Prep classes. All students have access to both online and in-person classes for an unlimited amount of time (until passing all the Florida Roofing Contractor exams needed to get the Roofing license!). The in-person classes are not mandatory and can be taken at the student's discretion. For a list of upcoming classes for the Florida Roofing Contractor Exams click on the link within the course description below. This is the course which prepares you for the Business and Finance exam. The Business and Finance exam is mandatory for all contractors regardless of specific trade. This course teaches you how to find answers within the books (AIAs, Builder’s Guide to Accounting, Florida Contractor’s Manual, and Ch 455), and how to solve accounting problems. Detailed lecture videos teach how to solve problems step-by-step, and if you need some extra help, you can go to in-person review classes at no extra charge. 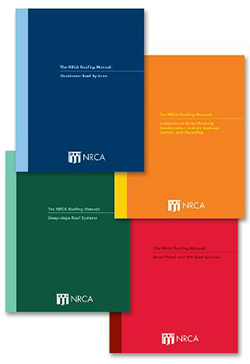 The set of books includes all required references for both the Roofing and Business and Finance exams. Orders placed before 2 PM are shipped the same day via UPS and a tracking number is emailed before 3 PM. 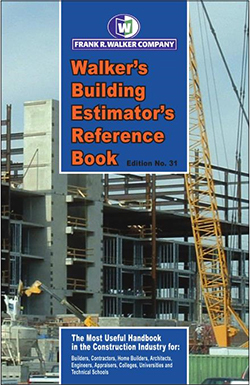 The Building Estimator's Reference Book is an important reference used for estimating and as a reference for contractor exams. 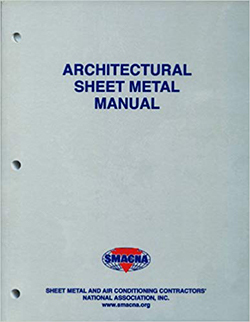 Architectural Sheet Metal Manual is the go-to reference for contractors in the mechanical and sheet metal trades. 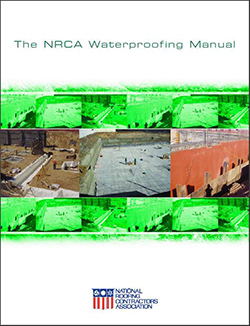 This four-volume manual gives you comprehensive information about low- and steep-slope roof system design, materials and installation. 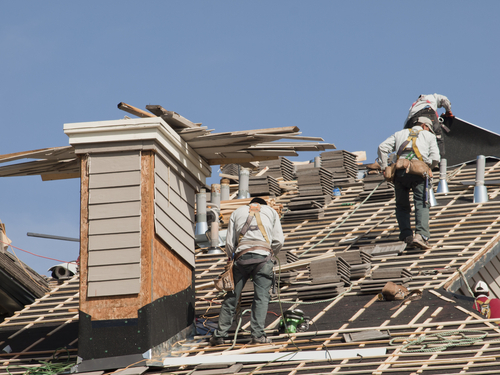 It is essential to Roofing Contractors across the United States. 2017 Test Protocols for High Wind Velocity Hurricane Zones is the primary building code reference. 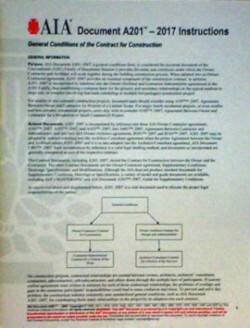 The Florida Contractor's Manual is used as one of the references for the Business and Finance exam. 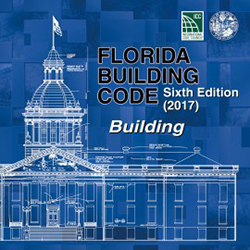 Chapter 455 of the Florida Statutes (Business and Professional Regulation: General Provisions) contains regulation directly impacting the licensing process of contractors in the State of Florida. The A201 is published by the AIA and establishes the general conditions of the contract for construction. 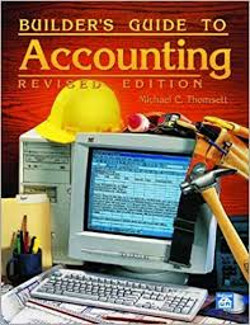 Builder's Guide to Accounting, is used for the Business and Finance contractor exam in Florida.